Near the Sandy Glacier on Mt. Hood, I met this spiky-haired, hip hop hippy. I liked his medallion. He was chill, happy, didn’t say much. Great “dude”. I love your imagination. That’s my cousin. He’s been missing for seventy five years.Tell him his mom choked on some pulp from an orange and his dad now has a harem of very old but very happy women. I love it fantastic I hope you enjoy your day. To one generation it is graffiti. If it is really old, it is history. 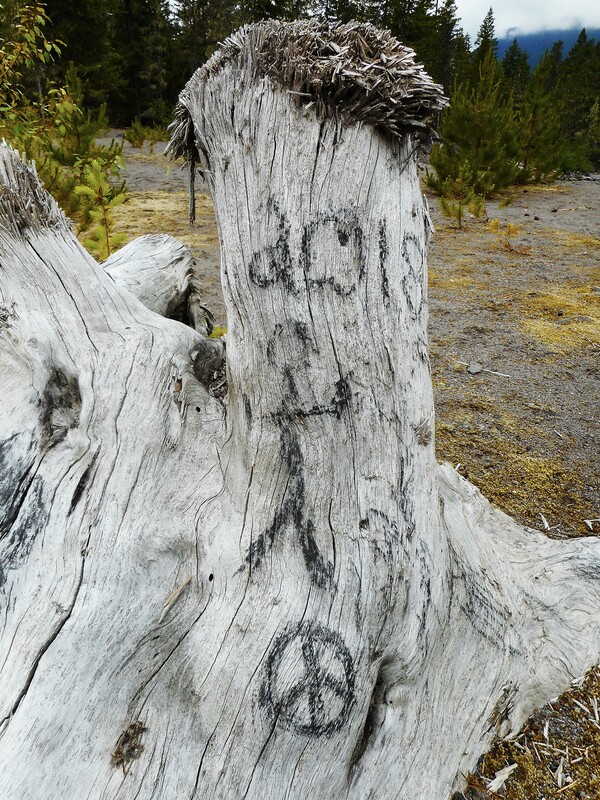 Makes me wonder if petroglyphs were the graffiti of old?